A dream coming true. . . . . Above you see evidence of a dream coming true–the “physical proof” of my first novel. It seems I’ve dreamed of being a writer all my life. As a matter of fact, I guess I have been a writer, but, perhaps now, I’m becoming an author. The book is NOT the “great American novel” by any stretch of one’s imagination. 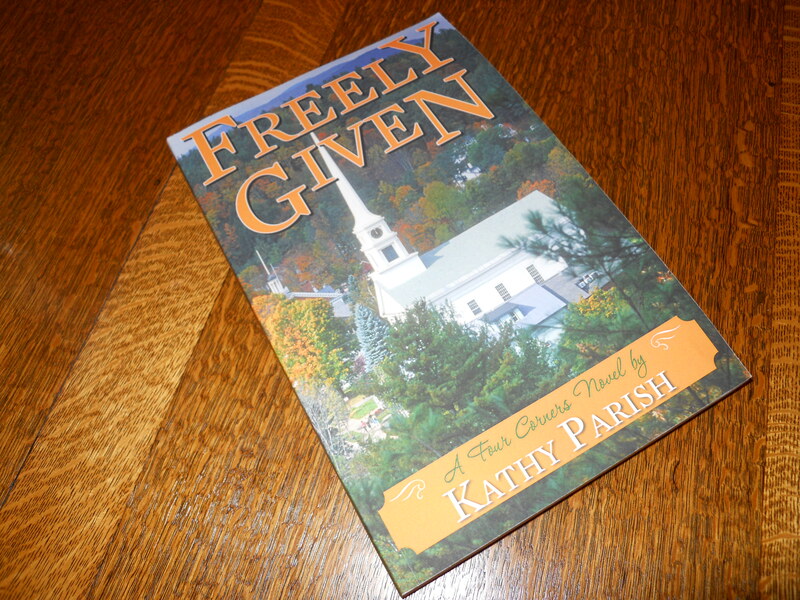 It is simply an inspirational romance which celebrates life in small southern towns, where life is often centered around the church. It is a love story but very “pure” by today’s standards, reminiscent of Grace Livingston Hill and Emilie Loring novels that I read as a young girl. Those novels proved to me that love stories can be inspirational and pure, yet still entertaining. I hope and pray that there are some who will still find that style of writing enjoyable and uplifting. But, most of all, as I have seen this project come to fruition, I have become more aware of the very good things that God has blessed me with in this life. A good education, the profession of nursing, loving and supportive family and friends. And, most of all, faith in my Lord and Savior, Jesus Christ. As I was kindly rejected by a literary agent, I remember telling him that God would do what He wanted with this story, for it was His. And, it is His. Seeing it come to life has inspired me to try harder, do better, be kinder, be more faithful. And so, whether it is commercially successful or not, whether it receives positive or negative reviews, whether readers find the characters as charming as I do or not, it is a success. Because dreams come true for very few, and I am one of the lucky (blessed) ones. And this process has made me a better person. Kathy, you are truly an inspiration to me in that you actually use your God given talents! So excited to witness this dream coming true for you!